Edward Snowden, the former NSA contractor responsible for one of the most significant compromises of classified intelligence data in history, claimed his first Federal technology victim. 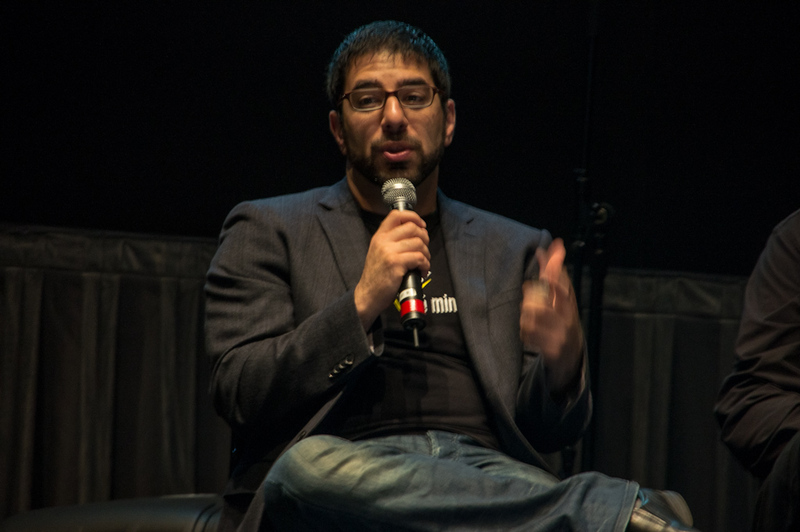 Ashkan Soltani, the former chief technology officer at the Federal Trade Commission who joined the White House in December to advise U.S. Chief Technology Officer Megan Smith, announced last week he is stepping down after being denied a security clearance. Soltani played an active role in the Washington Post’s reporting on the National Security Agency surveillance programs leaked to the media by Snowden. He served as an in-house technical consultant and earned several byline credits for stories that revealed highly classified programs. Soltani also had a history of taking an adversarial approach to the government’s role in cyberspace. The FTC declined at the time of his hire in 2014 to comment on how Soltani was able to pass a background investigation to become the agency’s CTO. But many national security experts at the time openly questioned the FTC’s hiring process, arguing that the agency had rewarded somebody who had worked to expose stolen national security information with a senior Federal technology position. Soltani’s links to the Snowden documents caught up with him last week. He announced his failure to obtain a U.S. security clearance on Twitter. One of the initial critics of the government’s decision to hire Soltani was former CIA and NSA Director Michael Hayden. MeriTalk reached Hayden by telephone. He called Soltani a “good guy” but said he was not surprised by the outcome of the security clearance process. “Actions matter and have consequences,” Hayden said. Stewart Baker, the former general counsel at the NSA who originally questioned Soltani’s suitability to hold a senior technology position at the FTC, was reluctant when contacted by MeriTalk to pin Soltani’s latest clearance problems on his links to the Snowden documents. “It’s very hard to tell. I’m not comfortable speculating. It could be anything,” Baker said. Ashkan Soltani (7250137444)” by Peretz Partensky, San Francisco, USA. Soltani has never publicly addressed the questions that many raised about his suitability for serving in a senior Federal IT position. MeriTalk has been unable to reach Soltani because he has blocked contact from this reporter since the original story that questioned his suitability for the FTC position in 2014. That seems to be a common response from those who support Snowden’s decision to betray his confidentiality agreements—the ACLU’s Christopher Soghoian and Glenn Greenwald, the reporter who broke the Snowden story, also blocked this reporter from following their Twitter accounts and asking difficult questions that directly challenge their assumptions. Among the many questions that Soltani has sidestepped is how did he, the FTC, and Smith at the White House justify his advisory, regulatory, and policymaking role in cybersecurity and privacy given that he took such a high-profile, public position working to divulge national secrets—a process that ultimately undermined legitimate intelligence programs. An official from the White House Office of Science and Technology Policy said Soltani was on a detail to the OSTP from the Federal Trade Commission, and his detail has ended. “I’m unable to comment further on an individual personnel matter,” the official said, when asked about the reasons the administration denied his security clearance. The official also declined to comment on the decision by Smith to bring Soltani on despite knowing his connection to the Snowden documents. Soltani has already updated his public profile on his website ashkansoltani.org, pointing out that he “previously served a brief stint as a Senior Advisor to the U.S. Chief Technology Officer in the White House Office of Science and Technology Policy and as the Chief Technologist for the Federal Trade Commission, advising the commission on its technology-related policy as well as helping to create its new Office of Technology Research and Investigation.” He also served at the FTC in 2010 as one of the first staff technologists in the Division of Privacy and Identity Protection, helping to lead investigations into major technology companies such as Google, Facebook, Twitter, HTC, and PulsePoint.